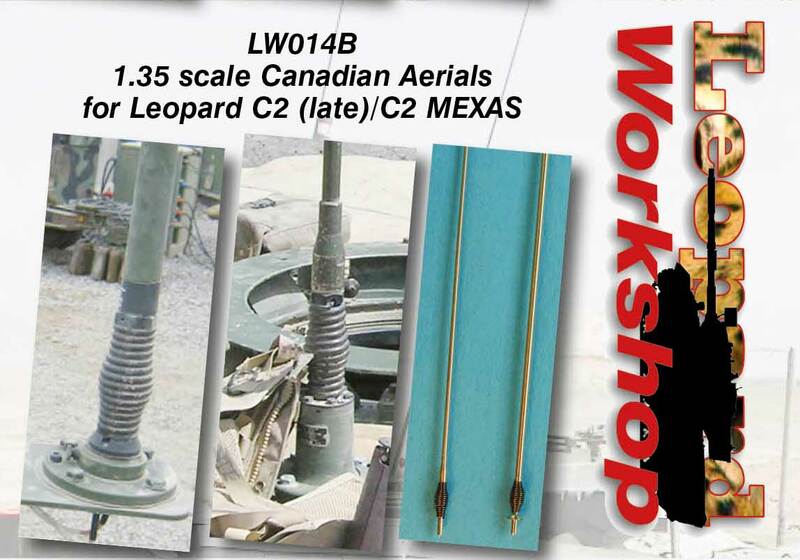 This set of aerials accurately depicts the antenna masts used on Canadian Leopard C2 (later versions) and C2 MEXAS. 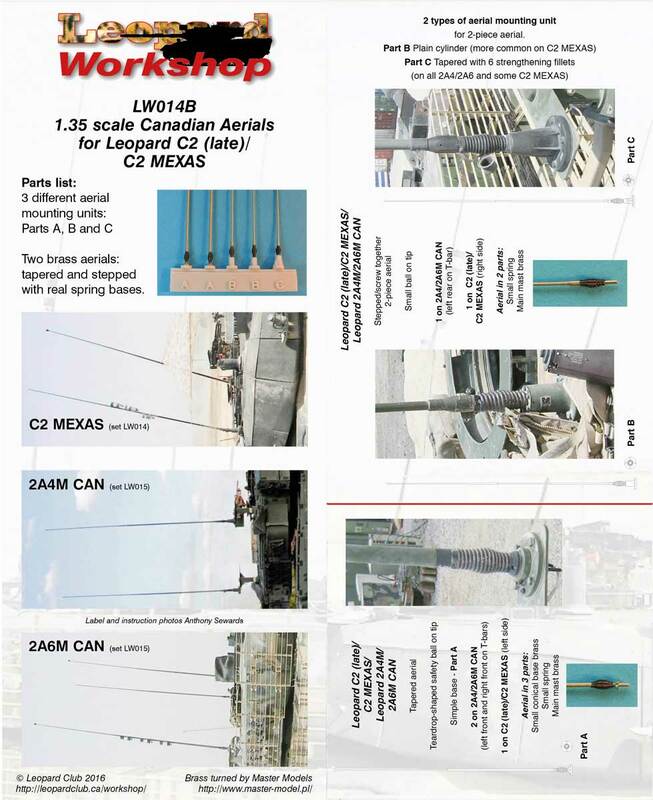 Two different turned brass aerials are provided (one of them in two parts) plus alternative antenna mounting units in resin. 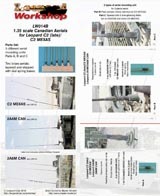 These aerials are turned from brass, and are even different safety balls turned on the ends of two of the aerials, as in the real thing.